The U.S. Department of Veterans Affairs identified approximately 40,000 professionals within its ranks with immediate core competency and job-specific learning needs that, if not addressed, could threaten the agency’s ability to evolve into the high-performing 21st century organization. DAI provided communications and learning support to VA as it launched its university—VA Learning University (VALU)—developing curriculum, providing learning events, executing communications for the launch of VALU and building support and participation among employees and stakeholders across VA. Challenge: DAI Solutions’ needed to address multiple VA missions: training employees to be veteran-focused; developing learning for all employee competencies; and creating technical learning curriculums for employees. We also were charged with getting buy-in for and participation in VALU by thousands of VA employees and stakeholders. Approach: Combining research and analysis with up-to-date best practices and our deep knowledge of the VA mission, we created a strategic plan that identified goals and objectives with drivers for engagement across target audiences, key messages per audience, delivery channels, tactics and timelines, and metrics to evaluate progress. 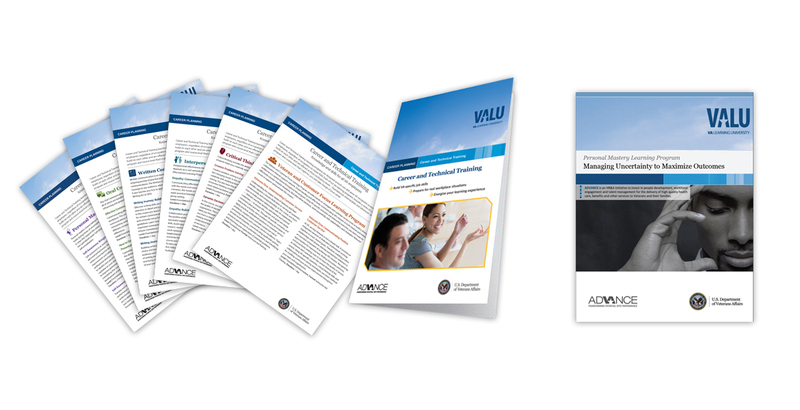 We designed learning programs, developed a broad range of courseware and deployed a cadre of trainers across the U.S. to ensure that the learning met VALU objectives and delivered the required organizational impact. This team of seasoned event and learning consultants ran the career support center and were responsible for identifying, tooling and managing a cadre of 50+ geographically dispersed trainers who conducted 633 courses and trained 36,000+ employees. They were tasked with scheduling the courses and providing one-on-one career support to an average of 2,100 employees each month through email and telephone contact. Achieving organizational objectives and successfully upgrading agency-wide competencies and skills depended on a cooperative and committed workforce. A communications team comprised of strategists, consultants and designers planned and executed communications and outreach campaigns to keep employees and their supervisors aware of available learning opportunities; provided general communications support to VALU, including producing weekly communications that promoted all available courses through VALU; and planned and produced launch events associated with special learning programs. 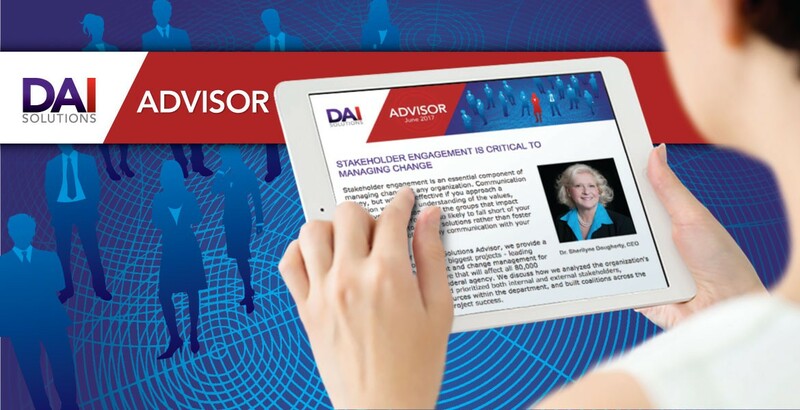 DAI Solutions was able to overcome the inherent challenges in standing up a transformational program by working as an integrated team in a collaborative and transparent manner with VALU. This approach enabled us to better understand the program’s goals and objectives as well as evolving priorities, and to better assist VA Learning University in: 1) anticipating and resolving issues before they became problems, and 2) achieving their objectives.